We invite you to join one of our library-sponsored book clubs for adults! 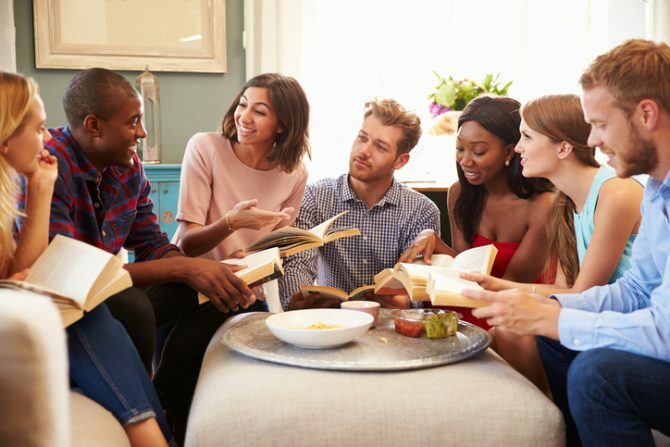 Check out our Book Group in a Bag service if you're interested in starting your own book group. Join us at 10:30 on the 1st Tuesday the month at the Spotsylvania Towne Centre Starbucks or at 10:00 on the 4th Tuesday of the month at Salem Church Branch. Read what you like, then chat about your favorite books! Fredericksburg Branch, Monday, May 13, 7:00-8:00. In partnership with the Riverside Center for the Performing Arts and The Arts & Cultural Council of the Rappahannock. Join us at 7:30 am every 3rd Wednesday of the month at Katora Coffee, 615 Caroline St, Fredericksburg. *NEA Big Read: Find out more. Browse upcoming selections for Books and Coffee. Join us at 7:00 every 2nd Tuesday of the month at Zibibbo 73 Trattoria and Wine Bar, 2757 Jefferson Davis Hwy, Stafford. Join us at 6:30 every 3rd Thursday of the month at Adventure Brewing North, 33 Perchwood Drive, Fredericksburg, Virginia. Browse upcoming selections for Books and Beer. Join us at 6:00 every first Thursday of the month at the Hague Winery, 8268 Cople Highway, Hague. Browse upcoming selections for the Hague Winery Book Group. Join us at 7:00 every second Monday of each month at the Newton Branch. Browse upcoming selections for the Street Lit Book Group. Second Monday of the month at 7:30. Browse upcoming selections for the Fredericksburg Book Group. Fourth Tuesday of the month at 7:00. Browse upcoming selections for the Howell Book Group. First Thursday of the month at 7:30. Browse upcoming selections for the Porter Book Group. Browse upcoming selections for the Salem Church Book Group. Every third Tuesday of the month at 11:00. Browse upcoming selections for the Snow Book Group. Every second Friday of the month at 11:00. Browse upcoming selections for the Montross Book Group. Every third Tuesday of the month at 6:00.